Growth Hacking is a popular buzzword, but does anyone really know what it means? 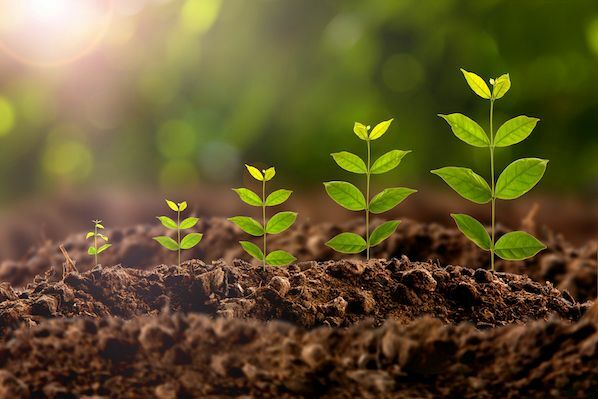 Neil Patel does a pretty good job explaining the concept and talking about its origin, saying that a growth marketer is someone who uses "analytics, inexpensive, creative and innovative ways to exponentially grow their company’s customer base." But how can one pull off that kind of growth -- especially with a limited budget and resources? Growth hackers or marketers are inherently what we call "scrappy" -- fast-moving and super creative. They experiment and experiment until they find something that multiplies growth by 10, 20, or 40x, instead of doing large projects that increase conversions in small increments. Growth hacking is the term used to describe experiments and processes aimed at building and maintaining a company’s customer base. Creative, innovative, and low-cost strategies are used to achieve this growth. On the surface, it might look a little intimidating. 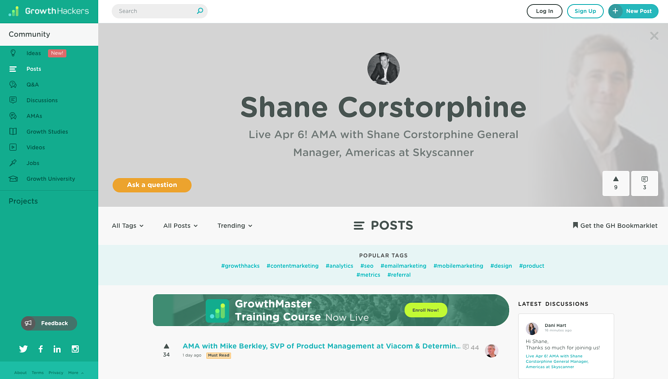 But with a little bit of light shed on how growth hacking works -- and how marketers have successfully experimented with it before -- you'll be on your way to producing your own significant results. Evaluate current marketing initiatives. Do a full audit that determines your best sources of leads, traffic, and page views. Figure out which channels are working for you. Set achievable goals. Determine where you'd like to improve these numbers, and start to think about how you can do so. Plan experiments to test your hypotheses. Come up with two, three, four, or twelve ways of testing your theories, and how you can reach your goals. Let it run. Experiment until your results are statistically significant. You can also continue optimizing until you reach your goals. Document your winning results, and share them with your team. Growth hacking is all about improving what you already have. If you come up with a game-changing tactic, spread the word. For traditional marketers, this level of experimentation can look overwhelming, or maybe even foreign. But if you’re already testing certain marketing variables and learning from the outcomes, you're executing "growth hacking" without the label. Think about it -- have you ever A/B tested a subject line in an email? That’s an experiment. Have you ever noticed that a certain landing page converts much high than another? It's an opportunity to duplicate that page for other campaigns and optimize for conversion. That conversion rate optimization (CRO) is a major component of growth hacking. It takes your existing content and updates it to increase conversion rate, making things like your landing pages and blog posts perform better, without having to create new content. To give you an idea of how to start growth hacking your marketing plan, we talked to four growth marketers from some of the top tech companies in Boston. We asked them to give an example of an experiment that they ran with significant results -- here’s what we found. Capland's team zoomed into the data and noticed that many users who borrowed a video from Wistia just to complete that onboarding step actually viewed it -- which presented an opportunity. "We realized there could be an opportunity to use that video for additional product education," said Capland. "We believed that we could increase our active users by making our 'loaner' video more educational and product focused." Wistia decided to test this hypothesis by creating a new video that gave a tour of the media page and taught users how to use the Wistia tools. Wistia created a new video -- which we've shared below -- for their users to borrow, and showed it to 50% of visitors. The new variation produced a 15% lift in one of Wistia's main onboarding metrics - and led to more account activations and sales. The homepage serves as Trello's most important real estate for new users to learn about the product and sign up. The team was looking to determine the best messaging to accomplish that, and came up with the idea that experimenting with different themes would be a good way to see what resonated most with visitors. "We didn't know if productivity, collaborating, project management, or something else would be the best way to position our product," Webb reported, "so we decided to let the data speak for itself." The experiment resulted in a 2% increase in sign-ups with the "collabtool" variant. That makes sense, since Trello is a collaborative project tracking tool. And it didn't end there. "We also used the winning messaging to inform other pages," Webb said, "and make them more collaboration-focused as well." InsightSquared is a company all about data. So, when Lindsy Lettre and her marketing operations team began to evaluate how to increase conversion across its website, they realized that their long forms might be stopping people from completing them. After an experiment that removed an optional field, the team was able to create a new form that converted 112% better than the old form. Historically, the previously long form -- which had to be required in order for visitors to download any piece of content -- had some required fields, and others that were optional, like "Phone Number." "We had a hypothesis that if we presented a short form to our audience, we would see increased conversions," Lettre said, "as the form would look less daunting." 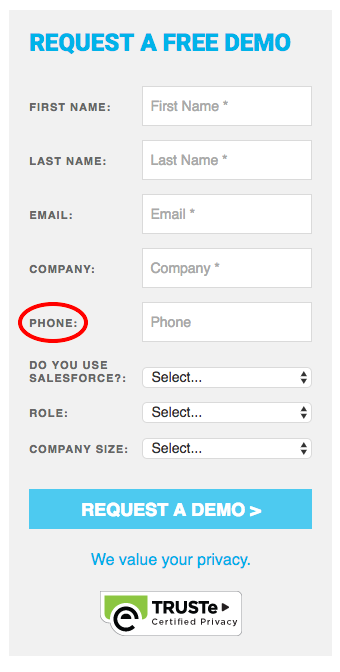 First, the team looked into what percentage of people provided a phone number when they filled out a form, which was only 15%. The next step was to run an A/B test on an eBook landing page for 30 days, to see if the field removal made any difference. Once the experiment was underway, Lettre's team saw that the form without the optional field converted 112% better than the old form. That was a statistically significant result -- and all other content forms were subsequently updated in the same way. Eric Peters, a Growth Marketer, and his team released five new HubSpot Academy certification courses throughout 2016. It became necessary to find a simple way to introduce those courses to existing students, without knowing which skills that section of the audience was interested in developing. But the team had an idea -- add a status bar to emails that indicated how far along the student was on various certifications. That increased the number of certifications per user by 18%. The purpose of this experiment was to increase the number of HubSpot Academy certifications held by each student. "Our goal was to reach 1.5 certifications per user by the end of 2016," Peters said. He hypothesized that by showing users the status of their certifications, it would provide functional value that also introduced them to other courses. Peters and his team began by implementing a module that displayed all of the certification badges one could acquire, in grayscale, within Academy emails. If the user had achieved that certification, it was orange, but once it expired, it would revert to grayscale. The badges were hyperlinked to a central page listing all courses. "We built this module directly into one of our main email nurturing templates, so it immediately went live in dozens of nurture tracks and hundreds of emails," Peters explains, "depending on which stage a user is in for each of our 12 certification courses." Initially, there were a few bugs that made some student statuses reflect incorrectly -- for example, certifications that they held weren't orange, or they didn't realize that the certification expired. As it turns out, the experiment proved to be a great way to remind the community that certifications do expire. After a few days, these little status icons were receiving a remarkably high number of clicks -- specifically, the orange ones that showed a user held an active certification. After speaking to some users, Peters and his team learned that they were proud of their orange badges, and wanted to get more of them. "We are still not at 1.5 certifications per user, so we did not reach that overall goal," Peters said. "But we have increased the number of certifications per user from 1.1 to 1.3 -- up 18% -- thanks in part to this experiment." It's imperative to know how to grow any sort of property, whether it’s a blog, a podcast, or a brand. That might be what I love the most about the HubSpot Growth Platform, for example. It was built with the idea that every marketer stands to benefit from understanding how growth hacking works. But where do you learn this stuff? A Google search for "growth hacking" yields a plethora of results. But as the term gains more popularity, filtering the results for the best resources becomes more difficult. However, there are some growth hackers that stand out from the crowd. Fear not -- I combed through their sites and narrowed them down to six of the most comprehensive resources from the top growth hackers. So, start reading and get ready to grow. Let’s start with the obvious. When you want to learn how to grow, the URL "growthhackers.com" seems like a natural place to start. Its founder and CEO, Sean Ellis, was pretty much a "growth hacker" before that label was really a thing -- since 2008, he’s served in interim growth roles at companies like Eventbrite and Dropbox, helping them scale in their early stages. GrowthHackers is a community of resources and experts that "helps teams unlock their company’s full growth potential." And it’s within that community section of the site where the greatest wealth of knowledge lives. From a forum of growth-related posts to a section on growth case studies, this destination is one of the most comprehensive growth hacking resources available online. Neil Patel is a leading growth hacker and his blog provides a plethora of resources for growth hackers. KISSmetrics is a leading analytics platform that marketers use to obtain the data they need to grow -- and its blog was purchased by Neil Patel. The blog might be one of our favorites. Its entries are a mix of tactical content and great stories, like this one about how Calendly pulled off double-digit growth. If you’re just getting started, I recommend checking out The Beginner’s Guide to Startup Analytics. Quick Sprout is largely the work of Neil Patel -- a name with which anyone even remotely involved with digital marketing is familiar. We like to call him a "growth rock star" -- he founded the aforementioned KISSmetrics shortly after graduating from CSU Fullerton. On Quick Sprout, Patel does growth consulting work and leads an online "university" on growing website traffic. It’s also home to one of his many valuable blogs, where he provides tips on conversion, marketing tech, and more. For a handy growth marketing crash course, check out this post on How to Become an Innovative Growth Hacker in One Month. Brian Balfour is another growth expert who cut his teeth in the startup sector. In fact, he's been known to quote the words of investor Paul Graham: "Startups = Growth." And on his website, he frequently pens essays about many topics under this umbrella, like "10 Reasons Why Companies Fail at Growth" and "Traction vs Growth." Balfour speaks with a unique skill set. In addition to serving as the co-founder of startups like Viximo and Boundless Learning -- which were both acquired -- he also worked in venture capital (VC) as an entrepreneur-in-residence. He views growth from the perspective of both the entrepreneur and the investor. 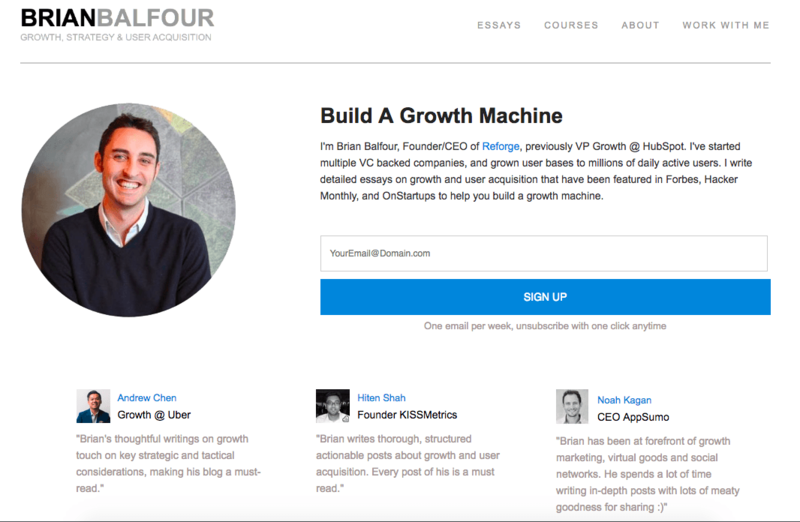 You can also follow his insights on the blog for Reforge, his growth program creation business. Since its 2009 founding, one thing has been certain about Uber: It's experienced unequivocal brand growth. And it’s the kind of growth that can only be achieved with the right scale, and expert Andrew Chen was brought on board to oversee as Uber’s head of rider growth. 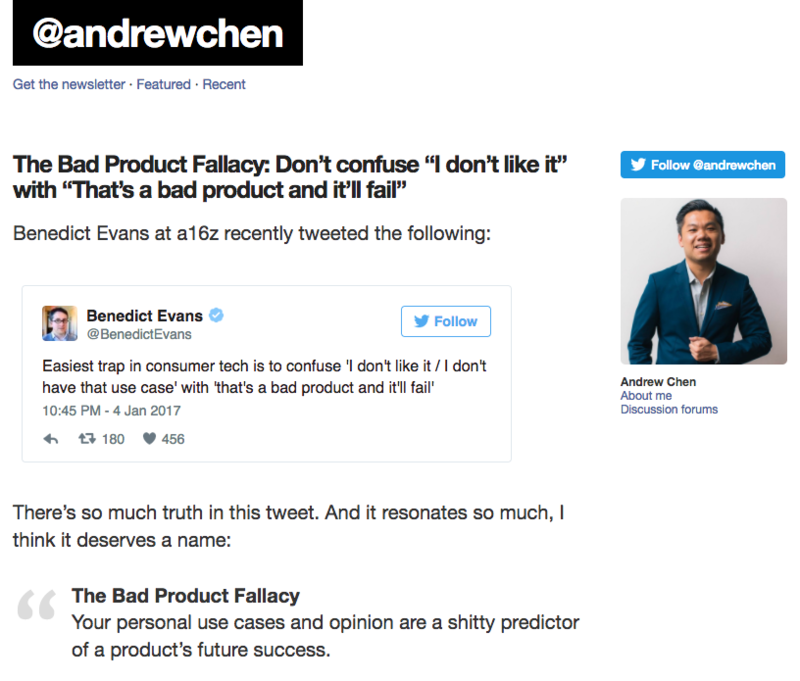 And in addition to serving as a general partner at Andreessen Horowitz, Chen continues to share insights on his own website, Andrewchen.co. His knowledge stems from his experience, much like Balfour, as both an entrepreneur-in-residence in the VC sector, and as what he calls an "entrepreneur-out-of-residence" -- in both capacities, he’s helped to grow early-stage businesses like Barkbox and Tinder. Brianne Kimmel is the go-to-market strategy advisor for the CEO of Voyage, and she previously led Growth Marketing at Zendesk. She also taught over 5,000 students at General Assembly in courses such as Intro to Digital Marketing, Introduction to Social Media Strategy, and Community Driven User Acquisition. Kimmel shares her growth marketing insights on her website and you can sign up for her monthly newsletter. Trust me, you don’t want to miss her posts, they’re full of information on growth marketing, startups, and technology. If you want to develop your knowledge of startup growth, check out this post. 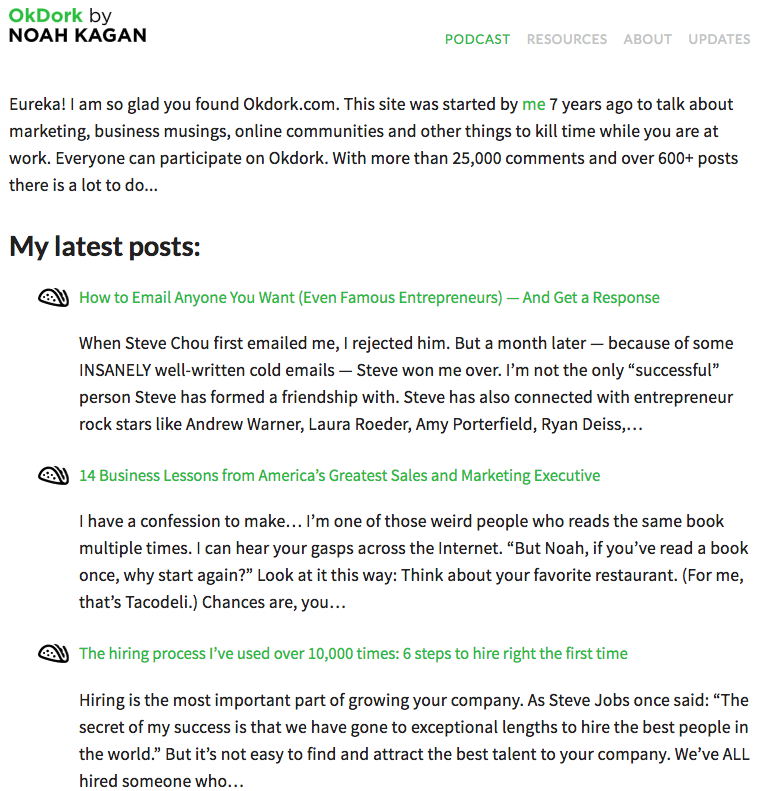 Noah Kagan, the person behind growth blog OkDork, is one of those folks who’s so accomplished that we have to ask, "How many lives have you had?" Today, Kagan’s day job is "Chief Sumo" with the Sumo Group, the maker of tools to help companies grow website traffic. It’s the latest in a string of product launches and marketing successes he’s experienced, with brands ranging from Facebook to Mint. Kagan calls OkDork a guide to "marketing, business musings, online communities and other things to kill time while you are at work." That community part is key. He invites readers to participate, comment, and exchange thoughts. And since its December 2016 debut, his podcast, "Noah Kagan Presents," also calls OkDork home. Check out "The 5 am Challenge" -- it happens to be one of this early riser’s favorite episodes. But one thing that’s been a bit trickier to track down is a single, comprehensive list of the best growth hacks to put into practice, or at least experiment with. What’s something I can try today, for example, with content I already have? Build social sharing links directly into content. Take advantage of your highest-converting offer. Find your most talkative customers. Make multiple versions of one ad. Get feedback from real people. Look for external collaboration opportunities. Create free tools -- not just free content. Customize landing pages for different channels. Clip it and share it. I compiled this list of 24 growth hacks that you can put into practice with your current content assets. Convert more visitors into leads. Try HubSpot's free email capture software today. You may have heard that multimedia content is quite popular these days -- in fact, marketers who use video grow revenue 49% faster than non-video users. But how do you come up with ideas for what these videos should be about? That’s where your blogs come in. You can adapt them as short recap videos, or even podcasts to provide your audience with a new way to learn from you. Plus, it helps you build a presence on multiple channels. While blogs, when composed correctly, tend to perform better in organic search results, videos tend to show more promise on social media. 2. Build social sharing links directly into content. Speaking of social media -- are you making it easy for your audience to tell their friends about you? If not, consider building easy sharing tools like "tweet this" buttons directly into your website content, so that readers can share items they find particularly valuable without leaving the page. This hack works particularly well with things like one-line quotes or statistics. Since Twitter has a 280-character limit, these short snippets are prime for sharing. 3. Test your conversion points. Leads -- they’re great! But where do they come from? If you’re not sure where your leads are most likely to convert -- on a product page, versus a pricing page, for example -- you can use a non-intrusive exit intent popup to test different conversion points. It’s one of the lead capture tools available in the HubSpot Marketing Free software, which helps to shed light on how leads behave on your website and how that can turn them into customers. But again -- be sure that this popup is non-intrusive, especially on mobile. Google penalizes sites with intrusive mobile interstitials, so make sure you’re creating something that doesn’t interfere with a positive user experience. 5. Connect with industry experts. Got writer’s block? No problem -- let other experts do the work for you. Around here, we love a good roundup -- of website examples, of Instagram accounts to follow, or of valuable quotes. Try reaching out to industry experts on Twitter and asking a common question that you, your sales team, or your industry faces. Then, compile their responses into a blog post. 6. Take advantage of your highest-converting offer. Once you’re able to keep track of where your leads are coming from, identify your highest-converting offer and break it out into multiple sections. From there, you can expand upon those sections for longer blog posts -- and include a CTA for the offer at the bottom. Leads, upon leads, upon leads. 7. "Crowdsource" from your team. To start, create a Google form to send to your colleagues -- in sales, or whichever department might have the same pain points as your audience -- and ask them to fill in the biggest questions they ask or come across each day. Use that to develop blog posts -- and, if your colleague feels comfortable, consider using an interview format to highlight her insights. 8. Find your most talkative customers. We’re not talking about the folks who could spend an hour explaining breakfast -- we mean the customers who are the most active on social media. Curate a list of those accounts. When one of your social posts begins to perform well, fuel the fire by sending it to those contacts, and asking them to share it. 9. Embed social media posts. Social posts were meant for sharing -- across various channels. That includes embedding them in your web content, like using tweets from happy customers as social proof. But be careful not to embed these posts where they distract from your primary CTA -- this hack is best used on post-conversion pages. 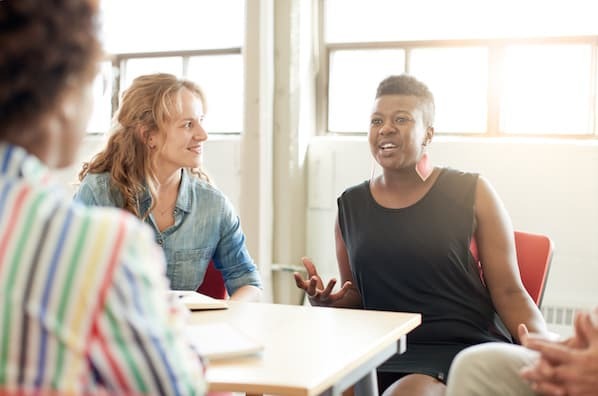 You may have heard the phrase "brand evangelist" -- essentially, that’s someone who makes efforts to get others on board with your brand, much of the time through public promotion. Finding these evangelists for your brand is similar to finding your most active customers on social media, but this time, you’re cross-pollinating your experienced customers with new ones, to inspire the latter. Give both parties special access to an exclusive, but social online space -- like Slack -- where they can interact. 11. Create a custom audience on Facebook. If you’ve ever created an ad or promoted post on Facebook, you know that one of the steps is to select certain criteria -- like location and interests -- to target a certain audience. Identify who your best customers are, and see if there are any common denominators that are included in these criteria categories. That way, you can create a custom, lookalike audience that emulates your current "fan base," helping you to grow where you’re already doing well. Twitter offers an ad personalization feature called Tailored Audiences. This allows brands to create sponsored tweets that target users most likely to be interested in their products and services. This feature allows you to retarget the people who are already familiar with your brand from a website visit or another previous interaction -- it’s a great way to move prospects through the buyer’s journey. For instance, you might have one campaign that targets website visitors, and converts them into leads, or another that targets leads and converts them into marketing qualified leads (MQL). MQLs, for reference, are leads that are more likely to become customers based on the behavior that earned them that status, and the HubSpot Growth Platform can help you seamlessly manage this journey. You can also create a campaign that targets your current customers to generate referrals -- another way of cross-pollinating your existing audience with a new one. 13. Make multiple versions of one ad. 14. Tag your YouTube videos. Keywords, keywords, keywords -- they might be more powerful than you think. For example, you might want your YouTube videos to show up in the search results for certain keywords. That’s why we recommend tagging them with those words, and not necessarily for the video’s content. When you use this growth hack, it can help your YouTube videos appear as "suggested content" for audiences you want to reach. 15. Do your ranking research. If you want to rank for certain search terms, you need to know what’s already in the top ten results for those queries. Do so by conducting a search in an incognito window -- that will help to produce unbiased results since they won’t be based on your existing browser history -- and see what’s on the first page. Not only will that give you some ideas for content creation -- please, don’t just copy the results verbatim -- but look within these results for opportunities to leave sincere, value-added comments that link back to your site. There are some outlets where this type of discussion is encouraged, like Quora and Linkedin, so keep an eye out for those in the results. 16. Recycle old blog posts. According to HubSpot’s Head of Growth and SEO, Matthew Barby, "In general, pages deeper in the architecture of a website will get a lower share of internal PageRank." That means that these posts would benefit from some reinvigoration. That presents an opportunity -- to update these posts with new data, examples, or insights, and republishing them for a ranking boost. Let’s say that you want to send the email out on Wednesday or Thursday. Test a few versions of the email with a small percentage of your total list -- divided into even smaller sections for each version -- on Tuesday. That way, you can send the best-performing version on your desired date. 18. Make it easy to share. 19. Get feedback from real people. Try inviting existing users to something like a "VIP Beta," where you can gather their feedback on new products, features, or campaigns. That can help you test positioning, and delight your customers ahead of a big launch. You’ll gather great insights for your campaign, while also showing your existing users that you value their perspectives. 20. Look for external collaboration opportunities. It’s easy to automatically think of brands that seem similar to yours as competition. But look again -- do your products and services compete, or do they complement each other? If it’s the latter, you may have just discovered a promising co-brand. Run a co-marketing campaign with a partner company that has an audience that would be interested in your brand, but is difficult for you to reach. Make sure your partner would benefit from your audience, too -- you want the experience to be a win-win-win: for you, your co-brand, and the consumer. Let’s say you offer free resources to help new users become better at learning your product, or learning your industry in general. Keep them updated on that progress -- that might help to mitigate the risk of abandoning the learning process. One way to do that is to include a progress bar in emails, to show the recipient how far along she is in completing a task. For example, show her that she’s already completed the first step -- like enrolling or signing up -- and then, explain what to do next. 22. Create free tools -- not just free content. When composed correctly and with quality, blog posts can provide a good amount of (free) value to your audience. But it shouldn’t end there -- demonstrate the value that your product or service provides, to give prospects a taste of what they’ll get when they sign on as customers. 23. Customize landing pages for different channels. 24. Clip it and share it. Get more value out of every webinar you host. Take inventory of that footage, and find the short segments that are most informative, even when they stand alone. Those clips can be isolated and repurposed into five minute videos to share on social media or other content. Be sure to link back to the original, full webinar in the description of each video -- if it’s gated by a form, for example, that can help you generate leads. Here are some of the top tools to help you on your growth hacking journey. This free tool allows you to promote your content on Twitter. Type up a message you’d like others to share, generate a link, add the link to your content (e.g. website, landing pages, email), and track the number of clicks. Consumer Barometer is a free tool from Google that provides information about online consumers. You can gain insights into your audiences internet behavior and use their graph builder to create a custom analysis you can use to inform your decision making. This tool allows you to perform market research and gather feedback from your customers. 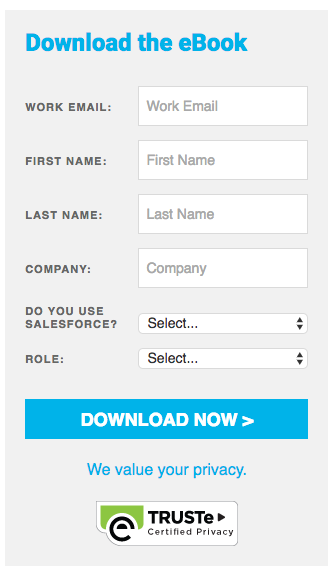 Use SurveyMonkey to create a survey, build custom reports, and analyze the results. Amplitude offers a variety of software options that allow you to analyze your products and see how customers interact with them. The insights can help you improve user engagement, optimize conversion, and give you a better idea of the direction to take your product strategy. This tool allows you to visualize where your visitors are clicking on your website with CrazyEgg Heatmaps. And use the Snapshot tool to get a digital snapshot of your site page, with reports that display your visitors' click behavior. SessionCam is a cloud-based suite of tools to help you visualize visitor behavior on your site. Key features include heatmaps, customer journey mapping, and struggle detection to see where your website experience can be improved. Ahrefs can help you optimize your website and blog to drive search traffic. You can research your competitors to see how they’re ranking in search results, audit your site’s SEO performance, explore keywords, and more. Use Zapier to automate your web applications. It builds connections between your apps and allows you to trigger tasks, like adding contacts to email lists or creating a new item on your to-do list. 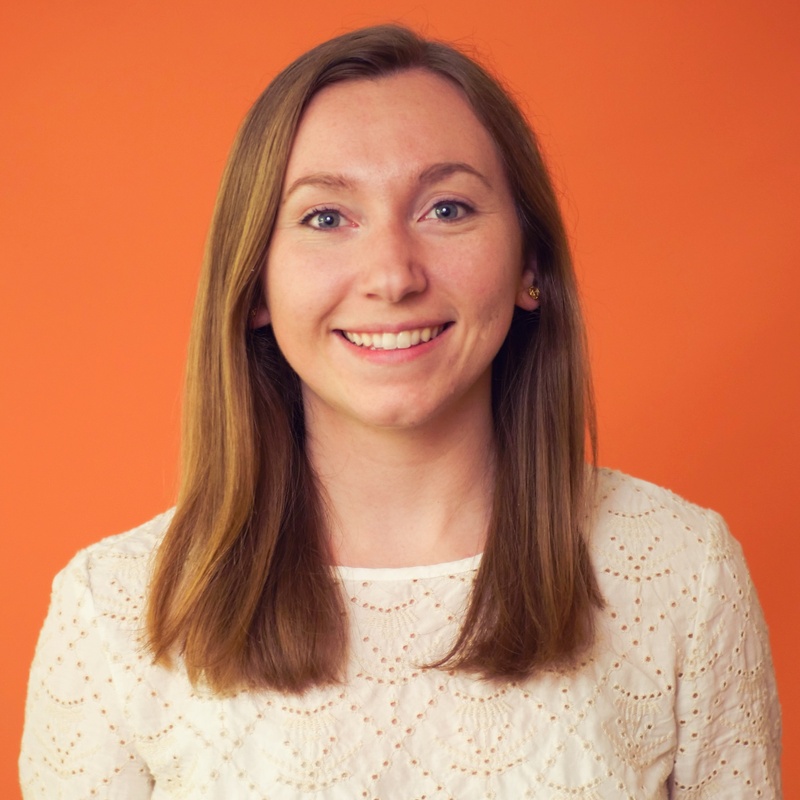 HubSpot’s software is a growth platform that offers a full suite of marketing, sales, and customer service software. Get started with the free HubSpot CRM to manage your sales pipeline, schedule meetings, and track emails. And use Marketing Hub and Customer Hub for marketing automation, building your website, converting contacts, and connecting with visitors. Experimentation doesn't have to be a massive project that requires developers, expensive software, or complicated charts. It just needs to be a way for you and your team to test out hypotheses, and learn from the data rather than by guessing. From these four examples alone, we learned that the results can improve other areas of your business, that sometimes "less is more," that teaching opportunities might already exist where you least expect them, and that data you already have can inspire your users to do more. Growth hacking is as simple as improving and optimizing your existing marketing efforts through experimentation. Brian Balfour, former VP of Product at HubSpot and a thought leader in the world of growth marketing, is an expert when it comes to building a process for experiments that enable growth over time. While he emphasizes that there isn't a one-size-fits-all solution for growing your business, he does have some pro tips when it comes to actually building a process for growth experiments. And that's what will ultimately move the needle for your company. We'll take you through the steps of a building a sustainable process for growth experiments based on Balfour's tips. 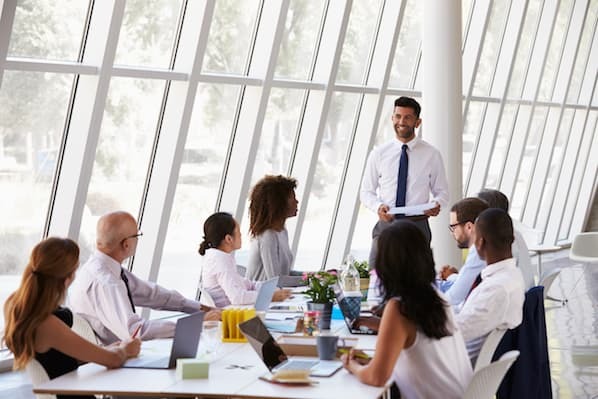 Once you establish an experimentation process that works for your team, that buzzy growth term might seem attainable after all. To grow, you have find ways to experiment. The problem with that is finding time to do that in the right way, especially when you also have multiple other tasks and ideas. That’s why building a sustainable process for recording your ideas and implementing them as experiments is essential. By figuring out these steps, you’ll enable your team to effectively write down ideas, prioritize experiments, and put them into practice. 1. Start with the scientific method. Ah, yes. We’re back to Week 1 of any science class you've ever taken. As it turns out, you really do use some of that elementary school information in real life. 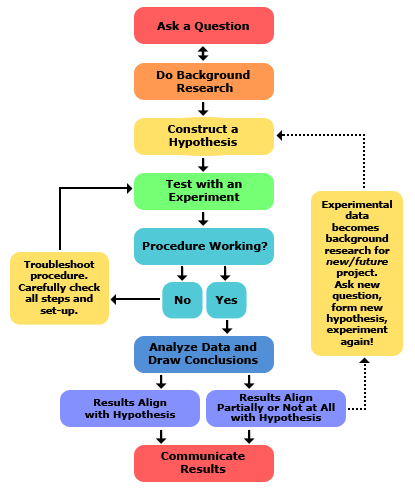 When it comes to building a process for experimentation, it comes down to following the scientific method. Create a way to brainstorm ideas, construct hypotheses from them, implement them, and prioritize your ending analysis and conclusions. In other words, it’s not enough to just say that the scientific method is your process. Instead, use the scientific method as a template to structure your internal process. 2. Always have a goal in mind. Once you have your process down, the next step is to set goals, which might sound simple in theory. But the goals of any given experiment can't just be "growth" -- because growth along isn't measurable. Instead, every experiment you run should have an actionable and testable outcome, which means you have to start small. What's the overall goal? Revenue growth. How are you going to drive more revenue? By acquiring more leads. How will you do that? Increase the conversion rate of my lowest-converting lead generation campaign. What is your campaign-specific goal? Increase conversions on one landing page by >5% and find statistically significant results. How will you implement an experiment to meet that goal? A/B test the title of the lead generation offer. You can see from the example that while increasing your revenue is an admirable high-level goal, it’s not actually actionable unless you break it down into actionable experiments. And tying a metric to your experiment -- in this case, increasing conversions by greater than 5% on one landing page -- is what makes it actionable. If you have trouble setting actionable goals for your experiments, start with that high-level goal and work your way down an incremental path, until you have something that you can tie to a metric. 3. 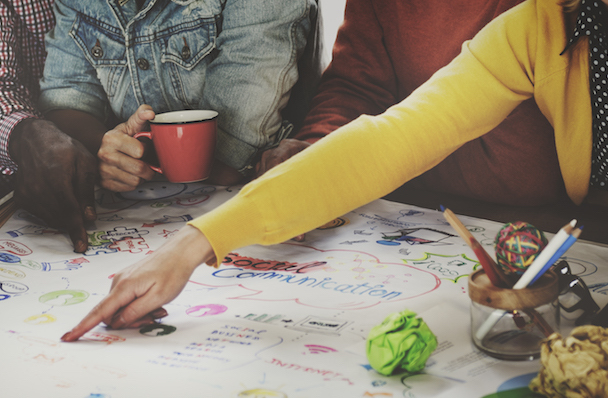 Encourage and enable brainstorming and hypothesis. Building a culture of experimentation within your team requires the encouragement and motivation to always be brainstorming. That's why building a mechanism for tracking and recording those brainstorms is essential for any good growth experiment process. Whether it’s an Excel sheet, Google Doc, Trello board, internal wiki page, or any other tool your team typically uses for internal documentation, make sure there’s room for any and all brainstorming. Still, it’s not enough to just throw raw ideas into a document somewhere. Instead, you have to require your team to take those brainstorm ideas and turn them into actual hypotheses based on research. Idea from brainstorm doc: Use a pop-up modal instead of an in-line CTA to increase conversions on our blog posts. Research: Our in-line CTAs are only converting at a rate below 1%. If we use a slide-in or pop-up CTA, we could make the CTA more visible to boost conversions. Hypothesis: By using pop-up modal CTAs, we will increase our conversions from a blog post to a landing page by >2%, with statistically significant results. 4. Figure out a way to prioritize what comes first. Once you’ve enabled brainstorming and hypothesis-writing on your team, you’ll find that you have more ideas than you know what to do with. That's not a bad thing -- remember that growth occurs because of many moving pieces. The more things you have to test, the more you’ll be able to grow over time. That said, with hundreds of ideas being thrown around, you'll have to figure out a way to actually prioritize which experiments you put resources into first, and why. While there are many ways to do that, at HubSpot, we often use the PIE method - "Priority, Importance, Ease." We execute this method by compiling all of our ideas into one document and then rate, on a scale of 1-10, each project in the categories of Priority, Importance, and Ease. Then, we take the totals for each category, and divide those numbers by three. That gives us a PIE score to rank each individual project, and we can better determine which experiments or projects to work on first. No matter what process you use to prioritize experiments, always remember to focus on the ideas that you think will have the biggest impact. That can help you prove the value of your experiments to your team and company, and drive that culture of experimentation forward. 5. Take time to design and implement effective experiments. Now comes the fun, but most challenging part -- implementing your experiments. Test one thing at a time. The more variables you have in one experiment, the less meaningful your results will be. If you test one landing page design against a completely different landing page without any experiments in between, your results won’t tell you much about what actually worked in that experiment. Instead, if you test one variable at a time -- like the title, imagery, colors, fonts, and module placement -- you’ll be able to learn from each experiment which variable is actually causing a difference in results. Set up a way to measure your results before the experiment begins. Many of your experiments will require a tool to help you actually perform it. Whether you’re using a content management system or designing an experiment by hand, understand how you’re going to measure and assign meaning to your results before you get started. Set a time frame. How long will you let your experiment run before you call the results -- one day? Two weeks? Until the results become statistically significant? Setting a time frame will not only help make your experiments more accurate and consistent, but also, will help you track results without letting the experiment fall to the wayside. Once you’ve set a time frame, set a reminder for yourself to analyze the results on the day the experiment is complete. Learn from experience. Use the findings of your experiments to come up with new ideas for future ones. Your experiments don’t have to be a one-time engagement. Good growth is built on a culture of constant experimentation. 6. Always analyze your experiments. Was my hypothesis correct or incorrect? Are the results of my test statistically significant? What could/should I have done differently in this experiment? How can I use these results going forward? What should my next experiment be to build on this finding? Building a culture of experimentation isn't just about getting a "pass" or "fail" answer on an experiment. Instead, true analysis happens when you think about what the results say about your efforts, and how you can use what you learned to move forward with new experiments. 7. Share and systematize your learnings. Before you repeat this process in your next experiment, it's critical to share the results of your experiment with your colleagues. Sharing information internally is a great way to both encourage transparency and generate feedback -- which can help you build upon a history of experimentation. At HubSpot, we use an internal wiki where we post experiment results, in addition to all kinds of internal information for employees. It’s a great way to keep everyone in the loop on what’s going on, as well as get feedback from colleagues who might be interested in your findings. You can also keep a running document of your experiments, so that the findings are easily accessible in one place. For example, you could create a document where you track all of your A/B tests from your landing pages or all of your tests on CTAs. 8. Build on what others have done before you. Now you know how to build a growth process that will be scalable, predictable, and repeatable. But if you’re like me, you probably want a document to use as a starting point, and build from there. Download these free Growth Marketing Experiments Templates you can use and customize for your own internal process. "Growth" can be a little bit of a big, scary term at first. Building and scaling a product or service from scratch might seem like something that requires the help of an expert, or a large team. But as these sites show -- that’s not the case. With the right approach, resources, and amount of experimentation, you can become a self-taught growth hacker. From online communities to the HubSpot Growth Platform, you’ll be well on your way. But be patient -- you might have to use a combination of these resources and go back to them as you work your way through projects. That’s why we suggest you bookmark all of these sites. Growth takes time, but it’s more than possible.